Q. Last week, Benny Gantz’s first major policy speech broke his strange silence and presented a set of clearly enunciated positions. How would you characterize his emerging political persona? A. Last Tuesday’s speech instantly presented Gantz--in the polls and among the public in general--as the first politician in a long time to genuinely challenge PM Netanyahu’s leadership. This is a fascinating phenomenon that merits serious inquiry. All of a sudden, many Israelis found the normally silent Gantz to be charismatic. The polls crowned him a genuine challenger for leadership of the country--particularly if as anticipated he can attract more center-right and right-wing supporters. Gantz appears to have succeeded in positioning himself as a centrist who, at least for the moment, overshadows competing political centrists like Yair Lapid of Yesh Atid, Avi Gabai of Labor and Moshe Kachlon of Kulanu. Still, he is enigmatic. This is troublesome, even if his motives can be explained in terms of cold political logic. Here three factors in his campaign appear relevant: the image he presents, the additional candidates he positions prominently on his Knesset list, and his actual political beliefs. Q. Okay. Start with image. A. To challenge Netanyahu for the premiership, Gantz needs to draw voters away from the right-wing nationalist and national-religious bloc so that his centrist bloc becomes the largest in the Knesset and the right-religious parties cannot garner a majority. Here it is not enough to be so attractive to centrist voters that Lapid and perhaps others feel obliged to partner with him. Gantz needs voters who would normally support Netanyahu, Avigdor Liberman, Naftali Bennet and perhaps some right-wing ultra-Orthodox as well. But the ultra-nationalist camp led by Netanyahu, which in recent years has been dominant in Israeli politics, increasingly relies on a militaristic, messianic and racist image. It draws on Holocaust references, exaggerated fears of Iran, and incessant focus on martyrdom to cultivate a degree of paranoia among its followers. How does Gantz get their attention without actually joining this camp? Before his big speech Gantz, who was IDF chief of staff during the summer 2014 war with Hamas, published a clip in which he took credit for killing thousands of Palestinian terrorists. Since the speech, the country has been flooded with billboards showing a suspiciously big-brother-like profile of an almost-frowning Gantz with the ultra-nationalist slogan “Israel Above All” (just don’t translate that into German!). Then too, being the son of Holocaust survivors, which I’m sure Gantz will remind us of shortly, cannot hurt. Q. And the candidates on his list? A. Most prominent is Moshe (Bogie) Yaalon, like Gantz a former IDF chief of staff, but also a former Likud minister of defense. 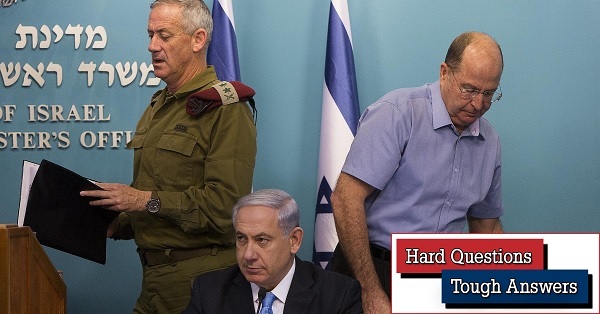 Yaalon, like Gantz, has a clean, corruption-free image; he left the government and the Likud in protest over Netanyahu’s readiness to pander to the ultra-right by “forgiving” Hebron soldier-murderer Elor Azaria. But Yaalon is ultra-hawkish on West Bank/Palestinian state issues. In return for joining, he will place two of his followers among the first ten candidates on Gantz’s “Israel Resilience” list, where there are already two more ex-Likud right-wing critics of Netanyahu recruited by Gantz himself. And Yaalon is recruiting additional right-wing support by explaining that he is not bound by Gantz’s position on the Palestinian issue (see below). Accordingly, like his billboard image, Gantz’s Knesset list, which admittedly is still being composed, currently looks a lot more right-wing than centrist. True, there are centrist candidates waiting in the wings, led by former IDF chiefs of staff Ehud Barak and Gaby Ashkenazi. But adding them to the list, while balancing the right-wingers, would also render Israel Resistance the most militarized Knesset list in memory. (One would have to revert to the 1950s and 1960s when former Palmach and other commanders figured prominently on left-wing lists to find anything similar.) Presumably Gantz is counting on coopting Yesh Atid, HaTnua (Tzipi Livni), Labor defectors and Gesher (Orly Levy Abakasis’s social issues-oriented list) for balance. But none of this has happened yet and Gantz is openly skeptical regarding Livni’s drawing power. Q. Yet the political positions Gantz presented in last Tuesday’s speech seemed relatively liberal, rule-of-law oriented, and geared toward a two-state reality . . .
A. Indeed. He compared the Netanyahu family to French royalty. He said it was inconceivable for Netanyahu, once indicted, to remain in office. He endorsed public transportation on the Sabbath, equal rights for LGBTQs, and a pluralist Kotel (Wailing Wall). He argued that holding onto the West Bank would render Israel non-Zionist. He endorsed--alone on the Israeli political scene--the proposal of INSS, a liberal Tel Aviv University think tank (full disclosure: I was director of a previous incarnation of INSS), to offer the Palestinians a West Bank-based state without the Jordan Valley or Jerusalem and, if they refuse, to withdraw unilaterally. Notably, those who claim to know Gantz personally over the years have consistently argued that at heart he is a left-winger, even if his presentation reflected a view that Israeli politics has been reduced to right and center alone. 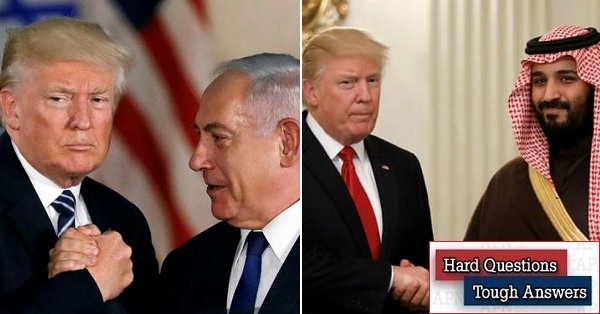 To the extent the polls show Gantz as presenting a genuine challenge to Netanyahu, his liberal political platform is capable of drawing even traditional Meretz and Labor voters, who could see in Gantz the only politician capable of removing Netanyahu and moving Israel away from the ultra-nationalist right. Yet left-wing support for Gantz will not reduce the size of the ruling right-religious bloc, and that is a prerequisite for Gantz being able to get the post-election nod from President Rivlin to form a coalition. Q. What was Netanyahu’s response to Gantz’s speech and what does it mean? A. Not surprisingly, Netanyahu responded that anyone like Gantz who claims to be “center” is really a left-winger. Netanyahu supporters attacked Gantz as a failed general, even though back in 2014 Netanyahu fully backed Gantz’s handling of the war with Hamas. Note that, these days, everyone who threatens Netanyahu politically is dubbed by him a “lefty”, including Avihai Mandelblit (see below), whom Netanyahu himself appointed cabinet secretary and then attorney general. But Netanyahu also took three steps that reflected a perceived need to shore up his own right-wing credentials lest Gantz make inroads. First, he withdrew Israel’s readiness to host TIPH, the five-nation UN body that patrols the Hebron municipal-geographic division between a small settler presence and hundreds of thousands of Palestinians. Netanyahu himself had originally agreed with Yasser Arafat to create TIPH, which in all honesty was never a particularly effective body. The decision to dismantle it was long demanded by the settlers because (surprise, surprise!) most of TIPH’s monitoring reports criticized them. The timing for Netanyahu’s decision was purely electoral. Second, without any new provocation, the prime minister escalated his rhetoric against Hamas in Gaza, even though the last thing Netanyahu needs at election time is escalation on Israel’s borders. Third, and perhaps most significant, Netanyahu’s legal team escalated its efforts--thus far abortive--to prevent Attorney General Mandelblit from indicting the prime minister prior to elections. That indictment is expected by February 15, though it could conceivably be delayed by Mandelblit into March. 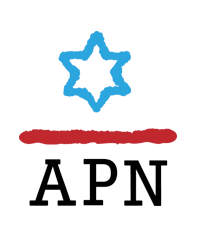 Q. Likud primaries are on Feb. 5, final Knesset lists are to be submitted by February 22, and elections are on April 9. What’s your interim summary regarding the approaching election and Gantz’s role? A. Gantz now has the challenging task of resolving the dissonance between his liberal political platform and his right-wing supporters, lest both left and right quickly become disillusioned. Note that most pollsters argue that at the nebulous Israeli political center there are only about ten genuinely floating votes, meaning that Gantz has to recruit concrete support from both left and right. At the personal leadership level, the polls still place Likud and Netanyahu ahead of Gantz by six to nine mandates. If a combined list of Gantz and Lapid (which instant polls last week awarded 35 mandates to Netanyahu’s 30 or so) does not emerge before February 22 and Gantz is unable to shrink Yesh Atid’s electoral appeal (the party Knesset roster sports impressive MKs like Ofer Shelah even if its leader is one-dimensional and shallow), he will be in trouble with voters. If Gantz’s Knesset list fails to attract women, non-Ashkenazic candidates and advocates like himself of West Bank withdrawal, he will be in trouble. If Israel Resilience is monopolized by former generals, however capable and charismatic, Gantz may have a problem with some otherwise favorably disposed voters even though he and (so far) Yaalon will be fully justified in negating Netanyahu’s claim to be “Mr. Security”. Meanwhile, the political left is in total disarray. Labor under Gabai looks like a sinking Titanic (only six mandates in the polls, down from 24). Tzipi Livni, normally an electoral asset if not a leader, faces political oblivion. The hitherto successful United Arab List is tempting fate by splitting into two lists, one of which might miss the four-mandate threshold. Meretz with its ever-faithful base will probably survive these elections with at least four mandates and be the only Zionist party advocating a fully-fledged two state solution. For his part, Netanyahu is taking the unusual step of promoting merger options between small extreme religious and right-wing factions in order to avoid the right-religious bloc losing mandates to the four-mandate threshold, wasting its votes, and ending up in a minority in the Knesset. A. Only this, cautiously. With a single speech last week Gantz created an image of a modest, honest, straight-shooting security expert with well-defined liberal views. This contrasts sharply with the demagogic posturing of the likes of Netanyahu, Liberman and Lapid. It is a huge electoral asset that Gantz must protect at all costs, first and foremost against his own right-wingers, but also against political opponents who will brutally goad him into making unwise statements, accusations and defensive claims. And they will try. Gantz is now fair game in Israel’s raucous and often ugly political game.